Authors: Bregestovski P.D., Zefirov A.L. Contemporary research has been enriched by the new directions in which the light plays a key role as a tool for modulation of cellular activity and invasive monitoring of intracellular ions and other components. The main advantages of these approaches are the possibilities to precisely control the intensity, spectral characteristics and durations of light signals in space and time. This review summarizes the key areas, optogenetics and photopharmacology, - directions that allow to control cellular activity with light. Optogenetics is the use of light-sensitive transmembrane proteins capable of exciting or inhibiting cellular activity under illumination by different wavelengths. In 2003 a light-sensitive protein canalo-rodopsine was isolated and cloned which is capable of inducing ion currents and changing cellular rest potential with its excitation under the blue light when embedded into the neurons or other cell types. Inhibition of cellular activity is caused by expression of other lightsensitive proteins - chloride or hydrogen pumps, or anion-selective ion channels. These principles turns out to be efficacious for the study of the functions of solitary cells and neural nets as well as for the control of living organisms behavior but their use in medicine is complicated because of necessary genetic manipulations. Photopharmacology is based on creating and using of chemical compounds changing conformations and/or activity under the light. Photochromic compounds with the use of photosensitive switches are capable of selective activation or inhibition of the activity of functionally important proteins - receptors, ion channels, enzymes, etc. The principles and the potential use of optogenetics and photopharmacology in the analysis of the neuronal functions and the perspectives for new approaches to treat some diseases of the nervous system are discussed. photopharmacology, optogenetics, synthetic light-controlled compounds, azobenzene, photochromic ligands, receptors and ion channels. Deisseroth K. Optogenetics. Nature methods. 2011; 8 (1): 26-29. doi: 10.1038/nmeth.f.324. Deisseroth K. Optogenetics: 10 years of microbial opsins in neuroscience. Nat. Neurosci. 2015; 18 (9): 1213-1225. doi: 10.1038/nn.4091. Fenno L., Yizhar O., Deisseroth K. The development and application of optogenetics. Ann. Rev. Neurosci. 2011; 34: 389-412. doi: 10.1146/annurev-neuro-061010-113817. Tye K.M., Deisseroth K. Optogenetic investigation of neural circuits underlying brain disease in animal models. Nature Rev. Neurosci. 2012; 13 (4): 251-266. doi: 10.1038/nrn3171. Kim C.K., Adhikari A., Deisseroth K. Integration of optogenetics with complementary methodologies in systems neuroscience. Nature Rev. Neurosci. 2017; 18 (4): 222-235. doi: 10.1038/nrn.2017.15. Rost B.R., Schneider-Warme F., Schmitz D., Hegemann P. Optogenetic tools for subcellular applications in neuroscience. Neuron. 2017; 96 (3): 572-603. doi: 10.1016/j.neuron.2017.09.047. Liang X.G., Asanuma H., Kashida H. et al. NMR study on the photoresponsive DNA tethering an azobenzene. Assignment of the absolute configuration of two diastereomers and structure determination of their duplexes in the trans-form. J. Am. Chem. Soc. 2003; 125 (52): 16 408-16 415. doi: 10.1021/ja037248j. Kashida H., Liang X., Asanuma H. Rational design of functional DNA with a non-ribose acyclic scaffold. Curr. Organ. Chem. 2009; 13 (11): 1065-1084. doi: 10.2174/138527209788680736. Gorostiza P., Isacoff E.Y. Optical switches for remote and noninvasive control of cell signaling. Science. 2008; 322 (5900): 395-399. doi: 10.1126/science.1166022. Miesenböck G. Optogenetic control of cells and circuits. Annu. Rev. Cell Dev. Biol. 2011; 27: 731-758. doi: 10.1146/annurev-cellbio-100109-104051. Szymański W., Beierle J.M., Kistemaker H.A. et al. Reversible photocontrol of biological systems by the incorporation of molecular photoswitches. Chem. Rev. 2013; 113 (8): 6114-6178. doi: 10.1021/cr300179f. Bregestovski P., Waseem T., Mukhtarov M. Genetically encoded optical sensors for monitoring of intracellular chloride and chloride-selective channel activity. Front. Mol. Neurosci. 2009; 2: 15. doi: 10.3389/neuro.02.015.2009. Garaschuk O., Griesbeck O. Monitoring calcium levels with genetically encoded indicators. In: Calcium measurement methods. Humana Press. 2010; 43: 101-117. Suzuki J., Kanemaru K., Iino M. Genetically encoded fluorescent indicators for organellar calcium imaging. Biophys. J. 2016; 111 (6): 1119-1131. doi: 10.1016/j.bpj.2016.04.054. Imamura H., Nhat K.P.H., Togawa H. et al. Visualization of ATP levels inside single living cells with fluorescence resonance energy transfer-based genetically encoded indicators. Proc. Natl. Acad. Sci. USA. 2009; 106 (37): 15 651-15 656. doi: 10.1073/pnas.0904764106. Berg J., Hung Y.P., Yellen G. A genetically encoded fluorescent reporter of ATP: ADP ratio. Nat. Methods. 2009; 6 (2): 161-166. doi: 10.1038/nmeth.1288. Bilan D.S., Pase L., Joosen L. et al. HyPer-3: a genetically encoded H2O2 probe with improved performance for ratiometric and fluorescence lifetime imaging. ACS Chem. Biol. 2013; 8 (3): 535-542. doi: 10.1021/cb300625g. Wojtovich A.P., Foster T.H. Optogenetic control of ROS production. Redox Biol. 2014; 2: 368-376. doi: 10.1016/j.redox.2014.01.019. Schumacher C.H., Körschen H.G., Nicol C. et al. A fluorometric activity assay for light-regulated cyclic-nucleotide-monophosphate actuators. Methods Mol. Biol. 2016; 1408: 93-105. doi: 10.1007/978-1-4939-3512-3_7. Covington H.E., Lobo M.K., Maze I. et al. Antidepressant effect of optogenetic stimulation of the medial prefrontal cortex. J. Neurosci. 2010; 30 (48): 16 082-16 090. doi: 10.1523/JNEUROSCI.1731-10.2010. Haubensak W., Kunwar P.S., Cai H. et al. Genetic dissection of an amygdala microcircuit that gates conditioned fear. Nature. 2010; 468 (7321): 270-276. doi: 10.1038/nature09553. Laprell L., Hüll K., Stawski P. et al. Restoring light sensitivity in blind retinae using a photochromic AMPA receptor agonist. ACS Chem. Neurosci. 2016; 7 (1): 15-20. doi: 10.1021/acschemneuro.5b00234. Rossi M.A., Calakos N., Yin H.H. Spotlight on movement disorders: what optogenetics has to offer. Mov. Disord. 2015; 30 (5): 624-631. doi: 10.1002/mds.26184. Schmidt D., Cho Y.K. Natural photoreceptors and their application to synthetic biology. Trends Biotechnol. 2015; 33 (2): 80-91. doi: 10.1016/j.tibtech.2014.10.007. Zemelman B.V., Lee G.A., Ng M., Miesenböck G. Selective photostimulation of genetically chARGed neurons. Neuron. 2002; 33 (1): 15-22. Lima S.Q., Miesenbock G. Remote control of behavior through genetically targeted photostimulation of neurons. Cell. 2005; 121 (1): 141-152. DOI: 10.1016/ j.cell.2005.02.004. Deisseroth K., Feng G., Majewska A.K. et al. Next-generation optical technologies for illuminating genetically targeted brain circuits. J. Neurosci. 2006; 26 (41): 10 380-10 386. doi: 10.1523/JNEUROSCI.3863-06.2006. Nagel G., Szellas T., Huhn W. et al. Channelrhodopsin-2, a directly light-gated cation-selective membrane channel. Proc. Natl. Acad. Sci. USA. 2003; 100 (24): 13 940-13 945. doi: 10.1073/pnas.1936192100. Boyden E.S., Zhang F., Bamberg E. et al. Millisecond-timescale, genetically targeted optical control of neural activity. Nature Neurosci. 2005; 8 (9): 1263-1268. doi: 10.1038/nn1525. Li X., Gutierrez D.V., Hanson M.G. et al. Fast noninvasive activation and inhibition of neural and network activity by vertebrate rhodopsin and green algae channelrhodopsin. Proc. Natl. Acad. Sci. USA. 2005; 102 (49): 17 816-17 821. doi: 10.1073/pnas.0509030102. Gunaydin L.A., Yizhar O., Berndt A. et al. Ultrafast optogenetic control. Nat. Neurosci. 2010; 13 (3): 387-392. doi: 10.1038/nn.2495. Airan R.D., Thompson K.R., Fenno L.E. et al. Temporally precise in vivo control of intracellular signalling. Nature. 2009; 458: 1025-1029. doi: 10.1038/nature07926. Lin J.Y., Lin M.Z., Steinbach P., Tsien R.Y. Characterization of engineered channelrhodopsin variants with improved properties and kinetics. Biophys. J. 2009; 96 (5): 1803-1814. doi: 10.1016/j.bpj.2008.11.034. Lin J.Y. A user's guide to channelrhodopsin variants: features, limitations and future developments. Exp. Physiol. 2011; 96 (1): 19-25. doi: 10.1113/expphysiol.2009.051961. Schobert B., Lanyi J.K. Halorhodopsin is a light-driven chloride pump. J. Biol. Chem. 1982; 257 (17): 10 306-10 313. Zhang F., Wang L.P., Brauner M. et al. Multimodal fast optical interrogation of neural circuitry. Nature. 2007; 446 (7136): 633-639. doi: 10.1038/nature05744. Chow B.Y., Han X., Dobry A.S. et al. High-performance genetically targetable optical neural silencing by light-driven proton pumps. Nature. 2010; 463 (7277): 98-102. doi: 10.1038/nature08652. Han X., Chow B.Y., Zhou H. et al. A high-light sensitivity optical neural silencer: development and application to optogenetic control of nun-human primate cortex. Front. Sys. Neurosci. 2011; 5 (18): 1-8. doi: 10.3389/fnsys.2011.00018. Govorunova E.G., Sineshchekov O.A., Janz R. et al. Natural light-gated anion channels: A family of microbial rhodopsins for advanced optogenetics. Science. 2015; 349 (6248): 647-650. doi: 10.1126/science.aaa7484. Hauser F.E., van Hazel I., Chang B.S.W. Spectral tuning in vertebrate short wavelength-sensitive 1 (SWS1) visual pigments: can wavelength sensitivity be inferred from sequence data? J. Exp. Zool B Mol. Dev. Evol. 2014; 322 (7): 529-539. doi: 10.1002/jez.b.22576. Thoen H.H., How M.J., Chiou T.H., Marshall J. A different form of color vision in mantis shrimp. Science. 2014; 343 (6169): 411-413. doi: 10.1126/science.1245824. Diester I., Kaufman M.T., Mogri M. et al. An optogenetic toolbox designed for primates. Nat. Neurosci. 2011; 14 (3): 387-397. doi: 10.1038/nn.2749. Gerits A., Farivar R., Rosen B.R. et al. Optogenetically-induced behavioral and functional network changes in primates. Curr. Biol. 2012; 22 (18): 1722-1726. doi: 10.1016/j.cub.2012.07.023. Busskamp V., Duebel J., Balya D. et al. Genetic reactivation of cone photoreceptors restores visual responses in retinitis pigmentosa. Science. 2010; 329 (5990): 413-417. doi: 10.1126/science.1190897. Sengupta A., Chaffiol A., Macé E. et al. Red-shifted channelrhodopsin stimulation restores light responses in blind mice, macaque retina, and human retina. EMBO Mol. Med. 2016; 8 (11): 1248-1264. doi: 10.15252/emmm.201505699. Benfenati F., Lanzani G. New technologies for developing second generation retinal prostheses. Lab. Animal. 2018; 47: 71-75. doi: 10.1038/s41684-018-0003-1. Yizhar O., Fenno L.E., Davidson T.J. et al. Optogenetics in neural systems. Neuron. 2011; 71 (1): 9-34. doi: 10.1016/j.neuron.2011.06.004. Lin J.Y., Knutsen P.M., Muller A. et al. ReaChR: a red-shifted variant of channelrhodopsin enables deep transcranial optogenetic excitation. Nature Neurosci. 2013; 16 (10): 1499-1508. doi: 10.1038/nn.3502. Oh E., Maejima T., Liu C. et al. Substitution of 5-HT1A receptor signaling by a light-activated G protein-coupled receptor. J. Biol. Chem. 2010; 285 (40): 30 825-30 836. doi: 10.1074/jbc.M110.147298. Carter M.E., de Lecea L. Optogenetic investigation of neural circuits in vivo. Trends Mol. Med. 2011; 17 (4): 197-206. doi: 10.1016/j.molmed.2010.12.005. Belzung C., Turiault M., Griebel G. Optogenetics to study the circuits of fear-and depression-like behaviors: a critical analysis. Pharmacol. Biochem. Behav. 2014; 122: 144-157. doi: 10.1016/j.pbb.2014.04.002. Hight A.E., Kozin E.D., Darrow K. et al. Superior temporal resolution of Chronos versus channelrhodopsin-2 in an optogenetic model of the auditory brainstem implant. Hear Res. 2015; 322: 235-241. doi: 10.1016/j.heares.2015.01.004. Keppeler D., Merino R.M., de la Morena D.L. et al. Ultrafast optogenetic stimulation of the auditory pathway by targeting-optimized Chronos. EMBO J. 2018; pii: e99649. doi: 10.15252/embj.201899649. Dombrowski T., Rankovic V., Moser T. Toward the optical cochlear implant. Cold Spring Harb. Perspect. Med. 2018; pii: a033225. doi: 10.1101/cshperspect.a033225. Govorunova E.G., Sineshchekov O.A., Li H., Spudich J.L. Microbial rhodopsins: diversity, mechanisms, and optogenetic applications. Ann. Rev. Biochem. 2017; 86: 845-872. doi: 10.1146/annurev-biochem-101910-144233. Gushchin I., Gordeliy V. Microbial rhodopsins. Membrane protein complexes: Structure and function. Subcell. Biochem. 2018; 87: 19-56. DOI: 10.1007/ 978-981-10-7757-9_2. Gradinaru V., Mogri M., Thompson K.R. et al. Optical deconstruction of parkinsonian neural circuitry. Science. 2009; 324 (5925): 354-359. doi: 10.1126/science.1167093. Chen Y., Xiong M., Zhang S.C. Illuminating Parkinson's therapy with optogenetics. Nature Biotechnol. 2015; 33 (2): 149-150. doi: 10.1038/nbt.3140. Seeger-Armbruster S., Bosch-Bouju C., Little S.T. et al. Patterned, but not tonic, optogenetic stimulation in motor thalamus improves reaching in acute drug-induced parkinsonian rats. J. Neurosci. 2015; 35 (3): 1211-1216. doi: 10.1523/JNEUROSCI.3277-14.2015. Bordia T., Perez X.A., Heiss J.E. et al. Optogenetic activation of striatal cholinergic interneurons regulates L-dopa-induced dyskinesias. Neurobiol. Dis. 2016; 91: 47-58. doi: 10.1016/j.nbd.2016.02.019. Parker K.L., Kim Y., Alberico S.L. et al. Optogenetic approaches to evaluate striatal function in animal models of Parkinson disease. Dialogues Clin. Neurosci. 2016; 18 (1): 99-107. PMID: 27069384. Wykes R.C., Heeroma J.H., Mantoan L. et al. Optogenetic and potassium channel gene therapy in a rodent model of focal neocortical epilepsy. Sci. Transl. Med. 2012; 4 (161): 161ra152. doi: 10.1126/scitranslmed.3004190. Paz J.T., Huguenard J.R. Optogenetics and epilepsy: past, present and future. Epilepsy Curr. 2015; 15 (1): 34-38. doi: 10.5698/1535-7597-15.1.34. Zhao M., Alleva R., Ma H. et al. Optogenetic tools for modulating and probing the epileptic network. Epilepsy Res. 2015; 116: 15-26. doi: 10.1016/j.eplepsyres.2015.06.010. Iyer S.M., Montgomery K.L., Towne C. et al. Virally mediated optogenetic excitation and inhibition of pain in freely moving nontransgenic mice. Nature Biotechnol. 2014; 32 (3): 274-278. doi: 10.1038/nbt.2834. Kalanithi P.S., Henderson J.M. Optogenetic neuromodulation. Intern. Rev. Neurobiol. 2012; 107: 185-205. doi: 10.1016/B978-0-12-404706-8.00010-3. Chow B.Y., Boyden E.S. Optogenetics and translational medicine. Sci. Translat. Med. 2013; 5 (177): 177ps5. doi: 10.1126/scitranslmed.3003101. Capelle H.H., Krauss J.K. Neuromodulation in dystonia: current aspects of deep brain stimulation. Neuromodulation. 2009; 12 (1): 8-21. doi: 10.1111/j.1525-1403.2009.00183.x. Sorar M., Hanalioglu S., Kocer B. et al. Experience reduces surgical and hardware-related complications of deep brain stimulation surgery: A single-center study of 181 patients operated in six years. Parkinson’s Dis. 2018; 2018: 3056018. doi: 10.1155/2018/3056018. Deer T.R., Krames E., Mekhail N. et al. Neuromodulation Appropriateness Consensus Committee. The appropriate use of neurostimulation: New and evolving neurostimulation therapies and applicable treatment for chronic pain and selected disease states. Neuromodulation. 2014; 17 (6): 599-615. doi: 10.1111/ner.12204. Collomb-Clerc A., Welter M.L. Effects of deep brain stimulation on balance and gait in patients with Parkinson's disease: a systematic neurophysiological review. Neurophysiol. Clin. 2015; 45 (4-5): 371-388. doi: 10.1016/j.neucli.2015.07.001. Stefani A., Cerroni R., Mazzone P. et al. Mechanisms of action underlying the efficacy of deep brain stimulation of the subthalamic nucleus in Parkinson's disease: central role of disease severity. Eur. J. Neurosci. 2018. doi: 10.1111/ejn.14088. Muthuraman M., Koirala N., Ciolac D. et al. Deep brain stimulation and L-DOPA therapy: Concepts of action and clinical applications in Parkinson's disease. Frontiers Neurol. 2018; 9: 711. doi: 10.3389/fneur.2018.00711. Welberg L. Techniques: optogenetic control in monkey brains. Nat. Rev. Neurosci. 2012; 13 (9): 603. doi: 10.1038/nrn3331. Liu X., Ramirez S., Pang P.T. et al. Optogenetic stimulation of a hippocampal engram activates fear memory recall. Nature. 2012; 484 (7394): 381-385. doi: 10.1038/nature11028. Ramirez S., Liu X., Lin P.A. et al. Creating a false memory in the hippocampus. Science. 2013; 341 (6144): 387-391. doi: 10.1126/science.1239073. Williams J.C., Denison T. From optogenetic technologies to neuromodulation therapies. Sci. Transl. Med. 2013; 5 (177): 177ps6. doi: 10.1126/scitranslmed.3003100. Luchkina N.V., Bolshakov V.Y. Diminishing fear: Optogenetic approach toward understanding neural circuits of fear control. Pharmacol. Biochem. Behav. 2018; 174: 64-79. doi: 10.1016/j.pbb.2017.05.005. Yamamoto K., Tanei Z.I., Hashimoto T. et al. Chronic optogenetic activation augments Aβ pathology in a mouse model of Alzheimer disease. Cell Reports. 2015; 11 (6): 859-865. doi: 10.1016/j.celrep.2015.04.017. Ordaz J.D., Wu W., Xu X.M. Optogenetics and its application in neural degeneration and regeneration. Neur. Regeneration Res. 2017; 12 (8): 1197-1209. doi: 10.4103/1673-5374.213532. Galvan A., Stauffer W.R., Acker L. et al. Nonhuman primate optogenetics: recent advances and future directions. J. Neurosci. 2017; 37 (45): 10 894-10 903. doi: 10.1523/ JNEUROSCI.1839-17.2017. Imbriani P., Sciamanna G., Santoro M. et al. Promising rodent models in Parkinson's disease. Parkinsonism Related Dis. 2018; 46 (1): S10-S14. doi: 10.1016/ j.parkreldis.2017.07.027. Sahel J.A., Roska B. Gene therapy for blindness. Annu. Rev. Neurosci. 2013; 36: 467-488. doi: 10.1146/annurev-neuro-062012-170304. Bi A., Cui J., Ma Y.P. et al. Ectopic expression of a microbial-type rhodopsin restores visual responses in mice with photoreceptor degeneration. Neuron. 2006; 50: 23-33. doi: 10.1016/j.neuron.2006.02.026. Tomita H., Sugano E., Isago H. et al. Channelrhodopsin-2 gene transduced into retinal ganglion cells restores functional vision in genetically blind rats. Exp. Eye Res. 2010; 90 (3): 429-436. doi: 10.1016/j.exer.2009.12.006. Macе E., Caplette R., Marre O. et al. Targeting channelrhodopsin-2 to ON-bipolar cells with vitreally administered AAV restores ON and OFF visual responses in blind mice. Mol. Ther. 2015; 23 (1): 7-16. doi: 10.1038/mt.2014.154. Gaub B.M., Berry M.H., Holt A.E. et al. Optogenetic vision restoration using rhodopsin for enhanced sensitivity. Molecular Therapy. 2015; 23 (10): 1562-1571. doi: 10.1038/mt.2015.121. Kravitz A.V., Bonci A. Optogenetics, physiology, and emotions. Front. Behav. Neurosci. 2013; 7: 169. doi: 10.3389/fnbeh.2013.00169. Packer A.M., Roska B., Häusser M. Targeting neurons and photons for optogenetics. Nat. Neurosci. 2013; 16 (7): 805-815. doi: 10.1038/nn.3427. Kramer R.H., Mourot A., Adesnik H. Optogenetic pharmacology for control of native neuronal signaling proteins. Nat. Neurosci. 2013; 16 (7): 816-823. doi: 10.1038/nn.3424. Harvey A.J., Abell A.D. α-Ketoester-based photobiological switches: synthesis, peptide chain extension and assay against α-chymotrypsin. Bioorganic Med. Chem. Letters. 2001; 11 (18): 2441-2444. doi: 10.1016/ S0960-894X(01)00464-4. Szobota S., Gorostiza P., Del Bene F. et al. Remote control of neuronal activity with a light-gated glutamate receptor. Neuron. 2007; 54 (4): 535-545. doi: 10.1016/j.neuron.2007.05.010. Tochitsky I., Banghart M.R., Mourot A. et al. Optochemical control of genetically engineered neuronal nicotinic acetylcholine receptors. Nat. Chem. 2012; 4 (2): 105-111. doi: 10.1038/nchem.1234. Banghart M., Borges K., Isacoff E. et al. Light-activated ion channels for remote control of neuronal firing. Nat. Neurosci. 2004; 7 (12): 1381-1386. doi: 10.1038/nn1356. Banghart M.R., Mourot A., Fortin D.L. et al. Photochromic blockers of voltage-gated potassium channels. Angewandte Chemie International Edition. 2009; 48 (48): 9097-9101. doi: 10.1002/anie.200904504. Fortin D.L., Banghart M.R., Dunn T.W. et al. Photochemical control of endogenous ion channels and cellular excitability. Nature Methods. 2008; 5 (4): 331-338. doi: 10.1038/nmeth.1187. Fortin D.L., Dunn T.W., Kramer R.H. Engineering light-regulated ion channels. Cold Spring Harbor Protocols. 2011; 2011 (6): 579-585. doi: 10.1101/pdb.top112. Velema W.A., Szymanski W., Feringa B.L. Photopharmacology: beyond proof of principle. J. Am. Chem. Soci. 2014; 136 (6): 2178-2191. doi: 10.1021/ja413063e. Bregestovski P., Maleeva G., Gorostiza P. Light-induced regulation of ligand-gated channel activity. Brit. J. Pharmacol. 2018; 175 (11): 1892-1902. doi: 10.1111/bph.14022. Брежестовский П.Д., Малеева Г.В. Фотофармакология: краткий обзор на примере управления калиевыми каналами. Ж. высшей нервной деятельности. 2017; 67 (5): 41-52. doi: 10.7868/S0044467717050057. Damijonaitis A., Broichhagen J., Laprell L. et al. Cholinergic photopharmacology - controlling nicotinic and muscarinic acetylcholine receptors with photoswitchable molecules. FASEB J. 2015; 29 (1): 933-935. Volgraf M., Gorostiza P., Numano R. et al. Allosteric control of an ionotropic glutamate receptor with an optical switch. Nature Chem. Biol. 2006; 2 (1): 47-52. doi: 10.1038/nchembio756. Gorostiza P., Volgraf M., Numano R. et al. Mechanisms of photoswitch conjugation and light activation of an ionotropic glutamate receptor. Proc. Natl. Acad. Sci. USA. 2007; 104 (26): 10 865-10 870. doi: 10.1073/pnas.0701274104. Yue L., Pawlowski M., Dellal S.S. et al. Robust photoregulation of GABA(A) receptors by allosteric modulation with a propofol analogue. Nat. Commun. 2012; 3: 1095. doi: 10.1038/ncomms2094. Lin W.C., Davenport C.M., Mourot A. et al. Engineering a light-regulated GABAA receptor for optical control of neural inhibition. ACS Chem. Biol. 2014; 9 (7): 1414-1419. doi: 10.1021/cb500167u. Mehta Z.B., Johnston N.R., Nguyen-Tu M.S. et al. Remote control of glucose homeostasis in vivo using photopharmacology. Sci. Rep. 2017; 7 (1): 291. doi: 10.1038/s41598-017-00397-0. Hüll K., Morstein J., Trauner D. In vivo photopharmacology. Chem. Rev. 2018; 118 (21): 10 710-10 747. doi: 10.1021/acs.chemrev.8b00037. Hausser M. Optogenetics: the age of light. Nat. Methods. 2014; 11 (10): 1012-1014. doi: 10.1038/nmeth.3111. Брежестовский П.Д. Оптогенетика в неврологии: обзор направлений и перспективы. Неврология XXI века: диагностические, лечебные и исследовательские технологии. В 3 т. Под. ред. М.А. Пирадова, С.Н. Иллариошкина, М.М. Танашян. Т. III. Современные исследовательские технологии в экспериментальной неврологии. М.: АТМО. 2015; 315-349. Bregestovski P., Mukhtarov M. Optogenetics: perspectives in biomedical research (review). Sovremennye tehnologii v medicine. 2016; 8 (4): 212-221. doi: 10.17691/stm2016.8.4.26. Han S.Y., Clarkson J., Piet R., Herbison A.E. Optical approaches for interrogating neural circuits controlling hormone secretion. Endocrinology. 2018; 159 (11): 3822-3833. doi: 10.1210/en.2018-00594. 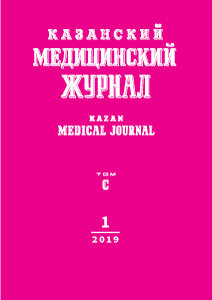 © 2019 Bregestovski P.D., Zefirov A.L.